You get up in the middle of the night, shuffle to the kitchen, flip on the light-switch, and behold! There, sitting on the countertop. A rat. You lock eyes with the critter just seconds before it disappears behind the stove. You’re startled, disgusted, maybe even terrified, and you’ve already made up your mind to buy snap traps first thing in the morning. But then the question dawns on you: if I see one rat, are there more? Many homeowners assume that if they catch a rat, the problem will go away like squashing a single spider. But here’s the bad news. There’s hardly ever just ONE rat in the house. A group of rats is called a mischief, an appropriate name given the nature of these sneaky creatures, and they are nocturnal animals (active at night) that live in social groups (colonies). Every colony consists of an alpha male who has control over food, territory, and female rats suitable for mating. Since rats need to follow this ecosystem to survive, it’s likely that if you find one rat, there will be more. How Do Rats Get In The House? Rats find their way into your home through a number of ways. Norway Rats (also known as brown rats or sewer rats) are large rodents measuring anywhere from 6-8 inches long from head to tail. Although they can climb fairly well, these rats prefer to stay close to the ground, inching their way into your home through gaps in the garage door, broken window screens, crevices behind the stove, ventilation, and even through holes surrounding piping. Norway rats are excellent swimmers and have even been known to swim through drain piping, popping up in the bowel of your toilet! Roof rats (also known as black rats) have a slimmer, sleeker body shape than Norway rats and prefer to make their nests in high places. These guys are adept climbers, often using trees as ladders to the roof of your house. From here, they’ll desperately search for a way into your attic—the perfect place to build their nests, sheltered from the cold and from predators. Nesting leads to the worst rat problem ever. Infestation! This is precisely why 90% of the time the issue is not eliminated once a single rat has been caught. It’s all downhill once a rat starts having babies. Rat litter size ranges from four to eight pups, with female rats reaching sexual maturity in as little as four to six weeks. Let’s not forget how much damage a single rat can do. 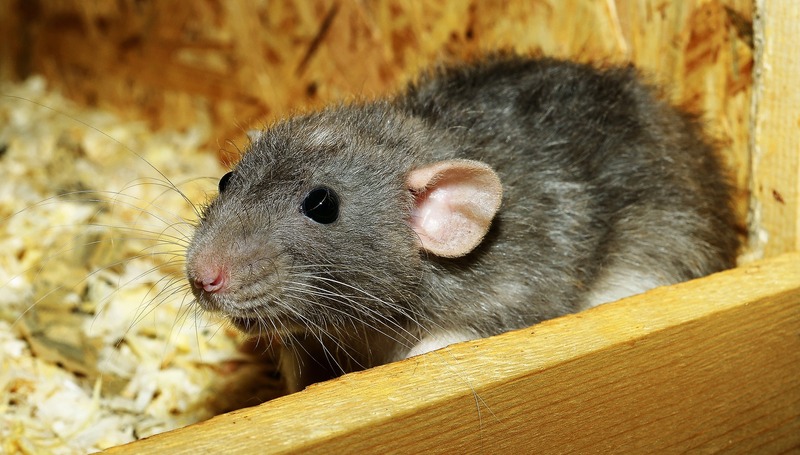 Both rats and mice carry harmful diseases such as hantavirus, salmonella, and rat-bite fever, which can be easily transferred to humans via contaminated food sources or water. Countertops, clothing, and furniture infected with rat feces and urine can also lead to contracting such diseases. Rodent infestation can also cause a great deal of destruction to your attic. The pesky rodents will use your expensive insulation as nesting material for their young, tearing and shredding it to suit their needs. From the attic, rats typically crawl through the walls of the home in order to avoid detection. This is also a cause for concern as rats will sometimes get stuck in the small crevices and die, leaving a nasty odor in their place. The corpses might also attract other pests such as insects, which could be a pain to eliminate. There’s also the risk of starting a house fire as rats are, by nature, gnawers and often chew on electrical wiring. Now imagine having an infestation of rats! Yikes. This is the most effective way to keep rats out for good. Start by inspecting your property for any holes in or around your foundation. Check the weather stripping around the front door for holes. Keep in mind that rats can fit through any hole the size of a quarter! Window screens, the areas around piping, ventilation and holes in the attic are common places for rat entry. Once these spots are located, fill them up using steel or wool mesh, and hold the mesh in place using caulking. For areas in or around the foundation, use grout. It helps to mix broken glass into the cement to keep rats away from the problem area while it’s drying. Bring out the snap traps or go buy some from your local hardware store. This is the most constructive way to get rid of a rat infestation once it’s started. When it comes to trapping, throw out any ideas you have about setting cheese on the trigger as an effective rat bait and say hello to peanut butter! Rats and mice go crazy for this stuff, and even the most cautious rodents will find it hard to resist. Place the snap traps where you see signs of rat activity. This includes entry points, areas littered with droppings, and along walls where brown stains are present. Be sure to start rat trapping only after the house has been rodent-proofed. If proofing is missed, then the rats will simply return. Learn more about setting traps by visiting our post, Often Forgotten Places to Set a Rat Trap. Nail a rat problem before it even starts. Prevent rats from ever being attracted to your home by following these easy tips. Rats have a keen sense of smell and are always on the lookout for an easy meal. 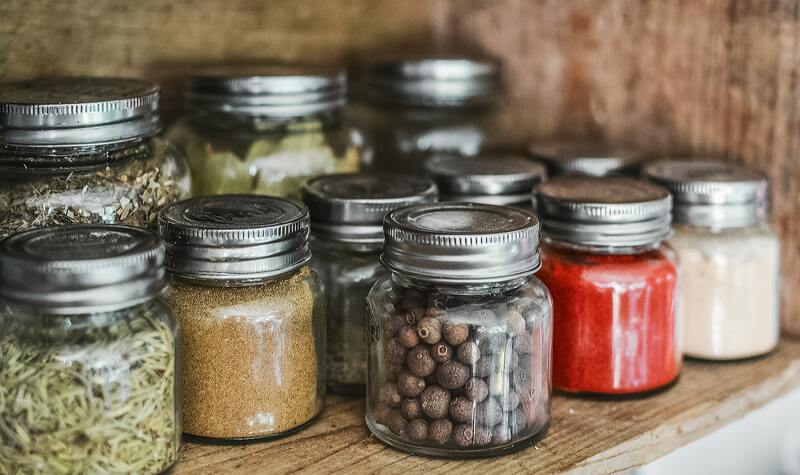 Store grains, seeds, nuts, and cereals in airtight containers to avoid attraction. All fruits and vegetables should be stored in the fridge. This will not only deter rats but keep your food lasting longer and fresher as well. Sweep crumbs into the trash or sink and pick up any uneaten pet food, as rats actually love the same food dogs and cats eat. A messy house is coveted by rats. Leaving the home in a disorderly state gives rodents plenty of places to hide. You’ll notice rats usually run alongside walls to avoid detection, so imagine if they could just roam freely. Make your place appear “unsafe” to rats by keeping it as clean as possible. Make sure trees and shrubbery are trimmed at least six feet from the home to keep rats or mice from climbing. As we’ve learned, rats are one of the fasted breeding animals and should never be allowed to step foot into your home lest an infestation should occur. Although it’s perfectly acceptable to handle a rodent problem on your own, it can become quite a daunting task if an infestation is already present and rapidly progressing. Should this happen to you, don’t hesitate to call in the professionals to take care of the issue. The friendly team at Green Rat Control has over 20 years of experience in rat trapping, rodent proofing, and we know how to disinfect your entire property using products that are 100% safe for the environment. That means we won’t cause any harm to you, your family, or even your household pets as we safely and effectively eliminate the rat infestation. This is one problem you don’t want to fester. The health hazards should be enough to seek help immediately, but the cost of damages caused by rats can prove to be overwhelming as well. Take care of your health and house, and don’t be afraid to call in the pros for rodent control services. You’ll be pleased with the results!